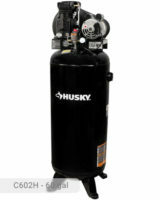 Husky 30 Gallon Electric Truck Mount High Flow Stationary Air Compressor was designed to level up the game of air compression both in domestic and industrial settings. 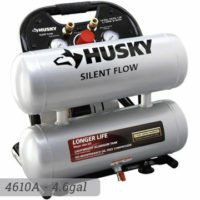 Are you looking for the quietest 30 gal air compressor? 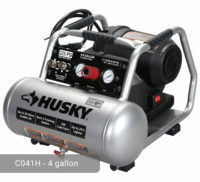 Then Husky 30 Gallon 155 psi Ultra-Quiet Portable Air Compressor is exactly what you need! 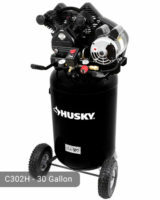 Air compressors can be very noisy during its operation but when you use Husky 33 Gallon Air Compressor (Model C331H), this problem is eliminated. 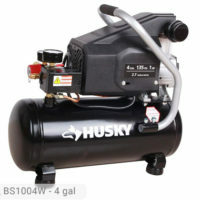 Husky 4 Gallon Air Compressor BS1004W is a great product which comes with a variety of accessories. Read more info, Specs and Reviews about it here. 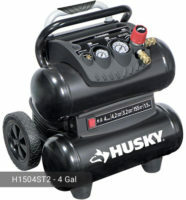 Husky 4.6 Gallon Air Compressor is the one air compressor that is portable and doesn’t make almost any noise. Get more info about it here. 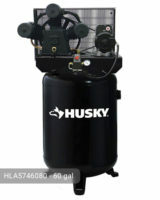 If you need a unit that is proven and tested to produce high-quality output, try Husky 60 Gallon Air Compressor HLA5746080. Get more about it here. 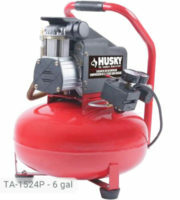 Husky 60 Gal Air Compressor allows for longer run times of air tools such as ratchets, impacts, spray guns, hammers, etc. Reviews, Specs and More. 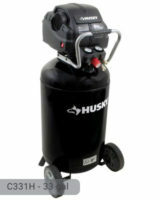 Looking for 100% cost-effective and efficient 60 gal Air Compressor? 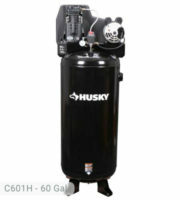 Then Husky 60 Gallon Air Compressor C602H is exactly what you need. Reviews, Specs and more. Do you want a pump for an air compressor that is guaranteed to have an extended life? 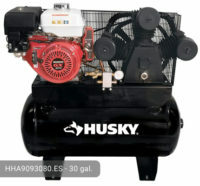 Try Husky 60 Gallon Air Compressor. Reviews, Specifications and more.